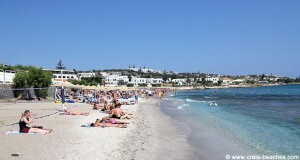 Analipsi, also called Analipsis, is located in the north-eastern part of Crete, approx. 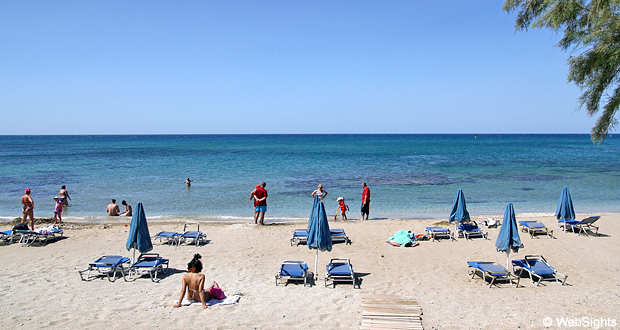 20 km east of Heraklion and only 5-6 km north-west of Hersonissos. 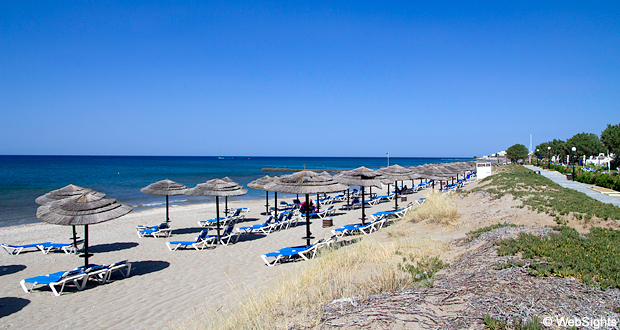 The beach in Analipsi is more than one kilometre long and of various widths. The majority of the beach is covered with sand, some places mixed with gravel and a few pebbles. The water is clear, but deepens rather fast. There are several sections with sun lounges and sunshades, both for the visitors at the hotels and for people visiting the beach from outside. There are showers and toilets at the beach. Analipsi is known for its beautiful, little church, which stands very close to the water. The sand is mixed with gravel and pebbles several places, but it is quite all right to play in. The water deepens rather abruptly. It is possible to rent windsurfing equipment, sea kayaks, small catamarans and water bikes. In the western part of the beach by the small church, there are a few restaurants. Along the rest of the beach, the restaurants are located at the large beach hotels. The village of Analipsi, which is located approx. 500 metres from the coast, is a nice and peaceful town. As a result of the tourism, of course, many restaurants and shops have popped up, but parts of the town still have a relaxed, Greek atmosphere. 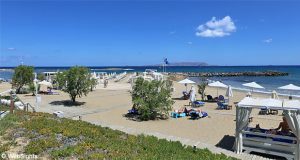 Down by the beach, mainly a few giant luxury hotels dominate the scenery, for instance Lyttos Beach, Sensatori Atlantic Resort and Anissa Beach. The beach can be seen in the middle of the map, and even more clearly if you zoom in. 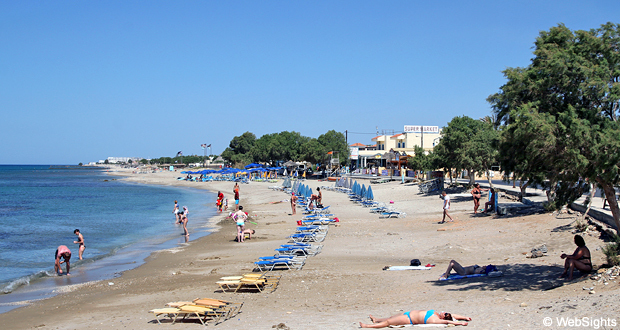 The village Analipsi is located a bit south of the beach. 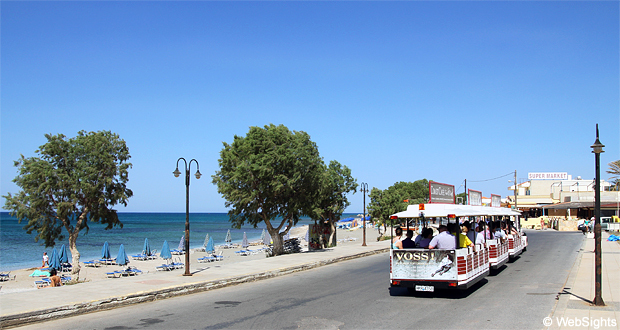 The much larger holiday resort Hersonissos is located to the southwest.